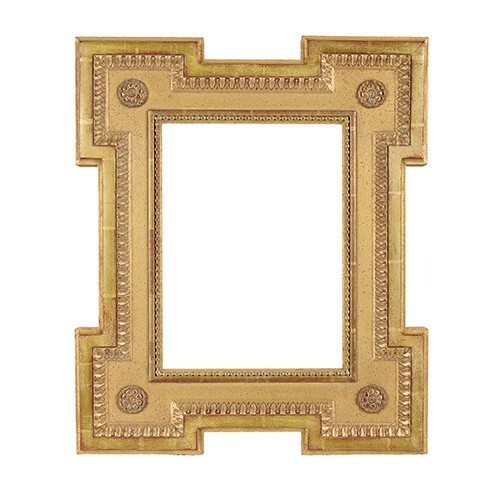 The Louis XVI key corner frame combines classic design elements with an authentic patina for simple elegance. 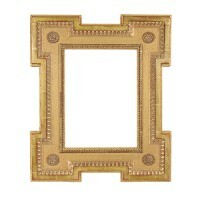 The stylized egg and dart detailing along with the string of pearls design complement this 18th century frame. The key corners with rosettes further enhance the look.